Bula vinaka and happy Fijian Language Week! The theme for Fijian Language Week in 2016 is Noqu vosa, me’u bula taka – My language, learn it, speak it, live it! The University of Canterbury currently has around 70 students with Fijian heritage, and they play an important part in contributing to our diverse Pasifika community here. 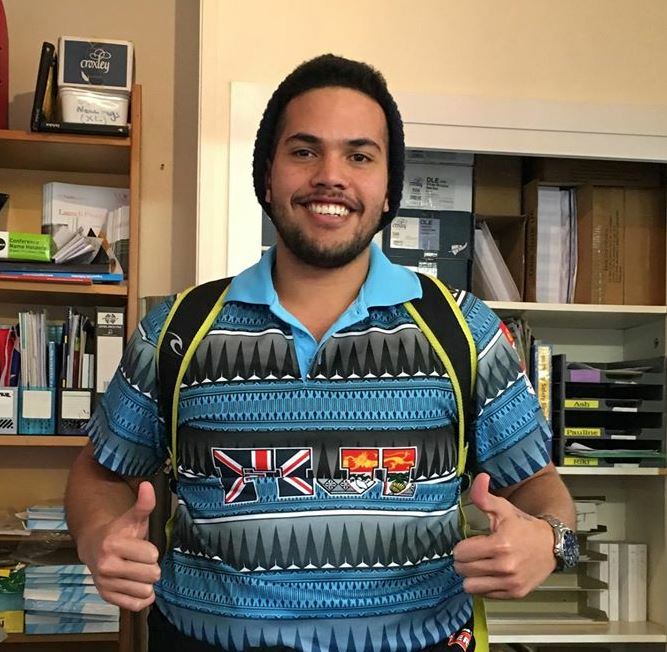 Today, second year Law student Curtis Fatiaki writes about his own Fijian heritage. Ni sa Bula Vinaka, Namaste, Noia’ia e Mauri and warm Pacific greetings to you all! Rotuma is a very small Polynesian Island situated 646km North of the main island of Viti Levu. It is 44km2 and home to 2,000 indigenous people but many more (aprox. 10,000) like myself live and have grown up in Fiji. Its cultures and traditions are very distinct from that of indigenous Fijians. The word Kailoma is an iTaukei (indigenous Fijian) word literally translating to ‘in-between.’ They are the descendants of early European settlers and local Fijian women. Having a very multi-cultural background has allowed me to experience a full range of custom and tradition. This is very much reflective of our own nation which is also very multi-cultural as more and more intermarriage occurs. As time has passed we have learnt to become accepting of each other and actually celebrate our differences, having a ‘bilo’ (shell used for serving and drinking kava) with neighbours after a long day of work. This week provides us, the many cultures that call Fiji home, to unite under our noble banner blue and celebrate our language and culture. We would like to invite you, our fellow students at the University of Canterbury to celebrate with us! Kaila! Vinaka vaka levu and Faiaksia!